A caring place to nurture your child's potential. Numerous extracurricular activities at no additional charge. Here is also where true friendships can begin to develop as children’s social skills blossom. The primary goal of Wonder Nook Preschool is to provide a safe and nurturing environment in which each child may realize and grow to his/her fullest potential. 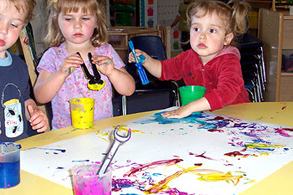 Wonder Nook Preschool is a Reggio-inspired program which emphasizes artistic expression, fosters creativity, and follows the interests of the children to develop a project-based curriculum. We also incorporate the best ideas from diverse childhood developmental philosophies to create a well-rounded program. We value the importance of the development of “self” in relationship to family, friends, and community. 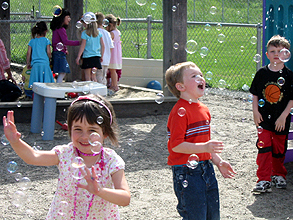 We believe that children learn through play, and that a play-based program will develop a lifelong love of learning. 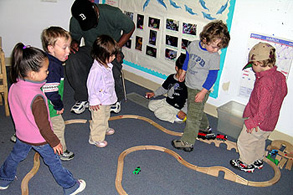 Our Toddler Program offers an enriching and stimulating play program for your child. We have a daily schedule that provides a comfortable routine for the children – the projects, stories and special events vary based upon the theme chosen by children’s interests. Developmentally appropriate Transitional Kindergarten program. When our children enter the big new world of formal education, we want them to be confident that they are prepared.